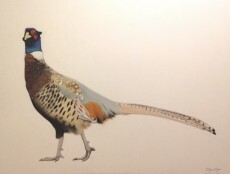 Since graduating in Fine Art from the University of Central England in 2003, Steve Shaw has established a well-earned reputation for his precise and playful oils on canvas. 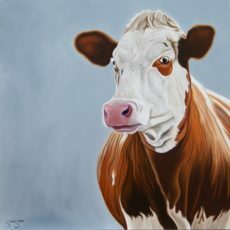 Painting using traditional methods in a thoroughly contemporary style, he captures farm animals, more exotic wildlife and occasionally still life subjects. 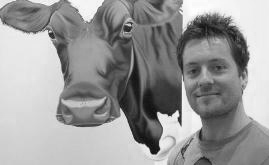 When he paints animals, Steve uses a monochrome or two tone background without detail to allow the personality of the subject to shine through. It’s hard not to smile at his work. Owning a Steve Shaw is guaranteed to brighten your day.